College Schedule Maker is an online schedule builder, weekly course schedule planner and simple daily calendar for your school, college and personal life. You can share your course schedule with your classmates. Using the link below, you can only view the course schedules. Although planners are often used during the student years (and we are actually more addressing to college students in this content), we have to apply scheduling in our professional or personal times, as well. We can always put some challenges on ourselves, in fact we must do this, and we need to be able to continue these challenges with ease and to successfully finalize them. Or if we have a busy work life, it becomes necessary to arrange everything in order with a help of a daily schedule maker. Moreover, we need to organize the games in a tournament by using a league schedule maker to keep on tracking the general situation. For whatever purpose, thanks to the user-friendly schedule maker, you can manage every hour of the day by dividing it into blocks as desired. Motivation is very important in achieving our goals in order to be successful in an exam or to continue workouts to be more fit. And the method and tool used in scheduling constitutes a considerable part of this necessary motivation. 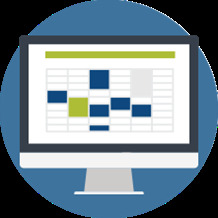 With the schedule maker, you will make your planning so easy that you will use very little time to adjust and update it. Above all, it will really be fun! Now, it's time to shake hands with the schedule maker and switch to a life full of achievements! To be organized in college times is an important skill to develop and success. To begin with being planned during your student days prepare you to the busy business life. As your workload increases after graduation and your responsibilities begin to accumulate, it’s critical to keep track of all your commitments and to manage your goals. Although it might seem easy, sometimes this can be very compelling. Because, once you are getting promoted, your responsibilities are getting harder. If you want to attract attention, your planning ability will be your key. So, getting this habit is a very important decision for you more than you think. Even in your school, after you pass the junior year, you’ll face with school assignments, exams, tests, scholarship and college application deadlines and the other commitments. To try to manage everything without fail in order can sometimes turn into a real juggling. Very first step for using a schedule maker or schedule builder is to assess your current situation and the way you manage time. This will help you to know yourself and how you use time. With a simple observation, you can define the advantages and disadvantages or strength and weakness you have. After that you can be more realistic about your time planning and the activities that kill your time. Think about the balance between those 2 bunch of activities. Is one of them take much longer than the other? People commonly move to step 2 with the result that they spend a lot of time on entertainment. After determining the balance of your activities in practice, you can begin with design yourself an awesome planning by using a college schedule maker. Although it seems easy to place your subjects and exams on your schedule, the more important thing is to be keep on schedule. If you really keen on planning your study and being much more organized and successful, you need to commit yourself to studying. Because of it, use the schedule maker here to build your schedule by considering to stick to it. If you think that you are easily losing your focus and need a lot of breaks, do not feel desperate or failed just add extra time into your schedule. 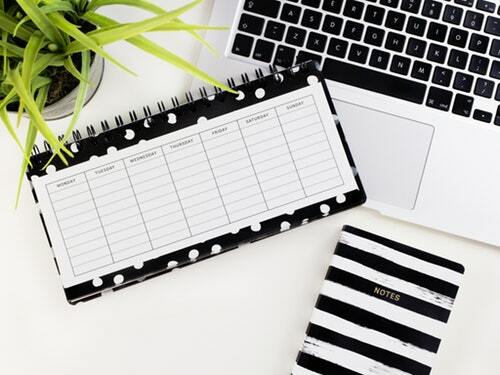 This is your schedule maker, so the only admin is you, just try to make a good, well-balanced, effective, adaptable and "trackable" schedule for yourself. After understanding your way of studying, balancing your school and social life and increasing your self-motivation, it is the time of listing all the subjects you need to study for using a schedule maker. The former steps were a little bit like preparing but this one is a real start for using a schedule maker. Don't forget any of your subject you have to add your schedule. And you may also determine your obligations to get a better idea of what you really have to do. Last thing about this step that you shouldn’t forget, be a generous while listing your subjects. To forget something will feel yourself disappointed. Determine the things you need to do for each subject or exam. We assumed that in this step we start to create our schedule by using an effective online schedule maker. Now that you’ve written down all of the subjects you need to study for, now you need to figure out how you will study for each of them. Which actions do you need? (Reading, taking notes, reviewing notes, watching, listening and (maybe) speaking, doing exercises and taking self pre-exams). All of those activities need you to reserve times on your schedule. with a daily schedule maker, you can easily reserve your activities, as required intervals. Now you need to prioritize the subjects on your list. After you’ve made a list of all the subjects or exams and you have already figured out how you are going to study for each at earlier steps, now the time to prioritize the list. According to your need and basically on your wish, you can sort each course or subject you should study more or vice versa. The importance of this prioritizing is to manage the time more efficiently. You do not the need to reserve more time for a subject that you are already good at it. In order to be able to prioritize your list well, just try to put numbers, one by one, until all of your subjects or exam preparations have got their numbers. The first should be the subject that you really need time to handle. For example, if you need the most time for math, give this title on your list a 1. If you need the least time for science, give this subject the last number on your list. If you have difficulties while doing it, just try to consider the difficulty level of each subjects or exams. While you trying to figure out the time you need for studying each subject, try to calculate the amount of reading you will need. Same with the reading, just take into account the other sources and the way you study for each like reading, for example also consider the amount of reviewing you will need before prioritize them. After you prioritize your subject list, everything is almost ready to put into your schedule by using a schedule maker. Now it is time to divide your available times during the week into blocks for study. Before you keep doing it, you need to determine all time in a week except for studying as well. for example, you go to the school, to a private lesson, to a training or to visit your grandparents, it doesn't matter. The important thing that matters is to determine the study time for a realistic way. Do not try to be generous about your time. Do not forget the second step, you have to stick to it after you create and follow it. So, be realist and divide up your available time during the week into study blocks efficiently and most properly. After you do this, you can now start to assign your blocks to a subject that you already have sort from 1 to last number. The important tip of creating a study schedule is to plan to study the same time every day. If you cannot do it, it is not that much important but to create a routine is necessary for you to build a habit of studying. And try to make a schedule as simple as possible that you can memorize the subject without constantly checking. So, the other important thing is after you fixing (in the beginning you need to make some arrangement of course) your schedule, try not to change it. Schedule maker will help you to update your schedule until you find the most effective version of it. Check your everyday-free times in a week, for dividing them to the study blocks. For example, you may be free 1-2 p.m. every Wednesday and Friday. Now after determining this, try to schedule your studying then. Because to set a regular routine can help you get into a studying more quickly at every turn. Your college schedule maker is so flexible to set the period of the study blocks, so try to create 30 to 50 minutes study sessions in your study blocks. Shorter blocks will be more adaptable than longer blocks. Do not forget to create study sessions blocks for all of your available time that you can study. The timeline is designed weekly. It was chosen as the starting day on Monday and the 5-day period was based on Friday. It can also be added at weekends. The length of each day is designed to be one up to 24 hours. The user can change it on demand. You can add your fixed lessons and other activities to the table on the left. Also, you can add them to schedule maker with drag-and-drop. You can set a title, color your courses or other activities while adding them, and customize your planner with 3 different extra options (Instructor, Location, Lecture). You can edit or delete your selected courses or other activities. You can be saved from your schedule as PDF to your computer, mobile phone, and tablet. You can also print as an image. With the “Export & Import” option, you can store your schedules and make them editable later. You can use the “Create New Schedule” button to clear all your work.